Arooshi is currently a junior pursuing a major in Economics and a double minor in Accounting and Business Finance. Beyond the Economics Association, she is also a TA for the ITP department and involved in USC's Trojan Investing Society. She hopes to pursue a career in investment banking after graduating. Winston is a sophomore double majoring in Economics and Cinema and Media Studies. This past summer, he interned at a consulting firm in D.C. where he explored the intersection of business analysis and enterprise architecture. 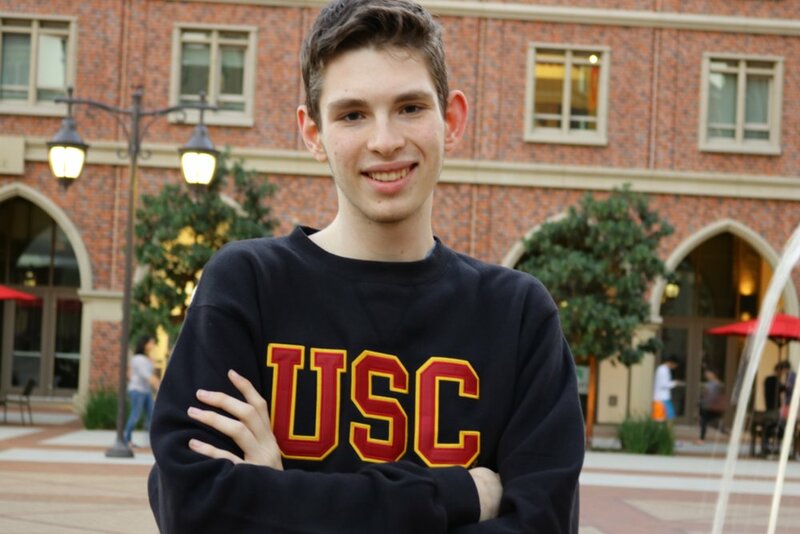 Beyond the EA, Winston works for USC's University Advancement Department and is also involved in Delta Kappa Alpha and the Project 32 tutoring organization. He plans on pursuing a career that synthesizes his interests in education economics and visual media. Luiza is a junior majoring in Economics and minoring in Business Finance and Spanish. On campus, she works for the USC Gould School of Law and is a member of the USC Consulting Club and AIESEC USC. Last summer, she taught English in a primary school in Thailand and has previously held an internship in the legal and financial service industry in Brazil. Luiza wishes to pursue a career in strategy or financial consulting after graduating. Michela is a sophomore pursuing a double major in Economics and Public Policy and a minor in Business Finance. She currently works for the Dornsife Center for Economic and Social Research and serves as an ambassador for the Price School of Public Policy. After graduation she hopes to pursue a career in either governmental economics or private enterprise. Hailey is a sophomore double majoring in Economics/Mathematics and Central European Studies. Outside of the Economics Association, she works as a research assistant for Dr. Matthew Kahn and writes articles for the USC Economics Review. After graduation, Hailey plans to earn a doctorate in economics and pursue a career in policy-oriented research dealing with the economies of Europe and the former Soviet Union.